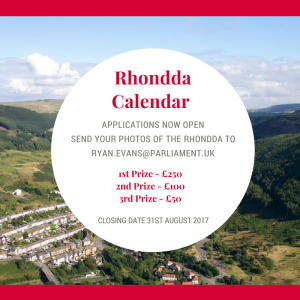 Entries for submitting your photographs for the Rhondda Calendar are now open. The top twelve entries will be show cased in the 2018 Calendar with prize money for the top three entries. Proceeds from the sale of the calendar will go to local charities.